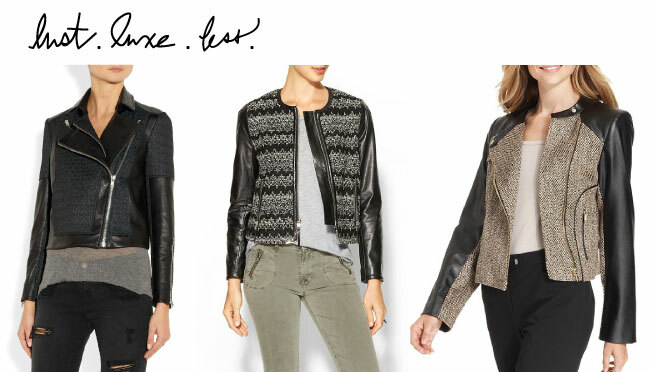 At the top of our must-have list this fall, the tweed-leather moto jacket is so Uptown Socialite meets Downtown Cool! This ladylike moto dresses up when paired with a sleek sheath and booties or works equally well with skinny jeans and knee-high boots. Video | How to Wear Sequins + Shop the Looks!